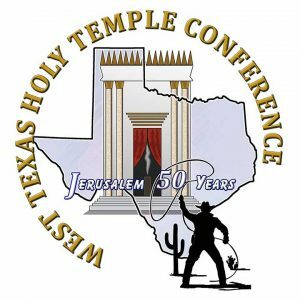 The Temple Institute, Inc., Biblical Faith of Abilene, and The South Plains Hebraic Center cordially Invite You to the West Texas Holy Temple Conference Celebrating Fifty Years of Jerusalem’s Reunification, Mar Cheshvan 20 – 23 5778, Nov. 9 – 12, 2017. The 50 years is to commemorate Jewish control over all of Jerusalem since the 1967 war. The Temple Institute would like a rebuilt Jewish Temple on the area known as the Temple Mount and has taken steps over the years to prepare for this. This includes supporting the re-emergence of a Sanhedrin (see Nascent Sanhedrin structure and high priest: The plan is to start animal sacrifices–this would fulfill prophecy! ), training priests (see ‘Temple Institute Announces School to Train Levitical Priests’), supporting an appointment of a high priest (see Reconstituted Sanhedrin names high priest in preparation for the restoration of sacrifices; to begin as early as the Day of Atonement? ), and getting implements and other matters ready for animal sacrifices (e.g. Temple Institute Altar and Blood Moons). Today, I again noticed that it had information about something called a red heifer. Jews have interpreted this to mean that another red heifer needs to be sacrificed for sacrifices to be resumed or for the Messiah to return. While that is not directly stated above, it could be implied from that that one is again needed. And if those who want to sacrifice will not do so until they have a red heifer, then in that respect a red heifer is important. 9 And he said, “Go your way, Daniel, for the words are closed up and sealed till the time of the end. 10 Many shall be purified, made white, and refined, but the wicked shall do wickedly; and none of the wicked shall understand, but the wise shall understand. Some Jews tie the burning of scarlet in Numbers 9:6 to the above. Yet, while sins can be as scarlet, the Bible is not saying that this is related to a red heifer. It is a call from God to repent. And Christians do this without a red heifer (Acts 2:38) as it is not possible that the blood of bulls or goats can take away sins (Hebrews 10:4). Jesus takes away sins (John 1:36). So, according to another tradition, supposedly there have been only nine properly prepared ones and the tenth one is what is needed. The Mishna teaches that up until the destruction of the Second Temple, ashes had been prepared from a total of only nine red heifers. The very first red heifer was processed by Moses himself – as the verse states, “… have them bring you a red heifer.” The second was done by the prophet Ezra in the days of the First Temple, and during the entire era of the Second Temple only seven more heifers were used for ashes. This was enough to provide for the nation’s needs for purification throughout all those years. The names of all the High Priests who prepared those seven heifers during Second Temple times are recorded by the Mishna: Simon the Just and Yochanan each made two; El’yhoeini ben Hakof, Chanamel HaMitzri and Yishmael ben Pi’avi processed one heifer each. Thus, from the time that Moses received the commandment of the red heifer from the Holy One, blessed be He, until the destruction of the Second Temple, purifying ashes had been produced by the hands of these great leaders from a total of nine red heifers. With this amazing statement, Maimonides recounts an ancient tradition – that the tenth red heifer is associated with the Messianic era. Does this perhaps mean that the appearance of a red heifer in these waning end times is an indication, a forerunner of the appearance of the Messiah himself, who will officiate at its preparation? Some believe that the tenth red heifer came prior to the destruction of the last temple. Whether it did or not, the Bible simply does not mention ten red heifers. The Temple Institute has been following a particular red heifer and indications are that it may meet its criteria for purity. Well, many events are aligning these days with properly understood biblical prophecy. Some have wondered if the abomination of desolation Jesus mentioned in Matthew 24:15 that Daniel spoke of is the sacrificing of the next agreed upon Jewish red heifer. Let me simply state that no it is not. That abomination has to do more with the final coming Beast of the Sea of Revelation 13 and not a sacrifice of the Jews. Some Jews, like those affiliated with the Temple Institute, want to resume animal sacrifices and believe having a red heifer is a sign that the time is right. An agreed upon red heifer may increase pressure on the nation of Israel to allow such sacrifices–though it may not happen until the deal of Daniel 9:27 is fulfilled (see also The ‘Peace Deal’ of Daniel 9:27). Many evangelical prophecy watchers seem to believe that a third Jewish Temple must be rebuilt in Jerusalem in the Temple Mount area near the Dome of the Rock for many end time prophecies to come to pass. That belief is in error. An employee of the Temple Institute told me personally that his group did not believe that they needed a rebuilt Jewish Temple to resume animal sacrifices. He basically said that all they need is an altar, which they have, and permission for the Israeli government, which they expect will happen some day. Years earlier, a representative of the ‘reconstituted Sanhedrin’ emailed me and said the same thing (see Why is a Jewish Temple in Jerusalem Not Required?). It is my belief that once there is permission to start regular sacrifices, that whichever red heifer may be available then will be considered to be the right and acceptable one (if it was not so beforehand). Since the Bible shows that the Jews will again have animal sacrifices (cf. Daniel 9:27; 11:31), the fact that The Temple Institute and others are taking note of a claimed red heifer shows that there is real interest in taking steps that will lead to the fulfillment of various end time prophecies (watch also The Red Heifer and the End of the World). Why is a Jewish Temple in Jerusalem Not Required? Although people like Timothy LaHaye teach a third Jewish temple is required, who is ‘the temple of God” in the New Testament? Does the Bible require a rebuilt Jewish Temple? Church of God on Jerusalem’s Western Hill Could this building, often referred to as the Cenacle on Mt. Zion, possibly have been the oldest actual Christian church building? Might it contain stones from the Jerusalem Temple? This entry was posted on Saturday, November 4th, 2017 at 7:30 am	and is filed under Prophecy, Religious News. Temple Institute broadcasts about the ‘red heifer.’ Is something about to happen? 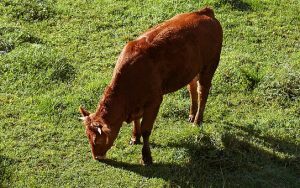 Temple Institute announces the birth of a red heifer candidate: Prelude to the return of Jesus?